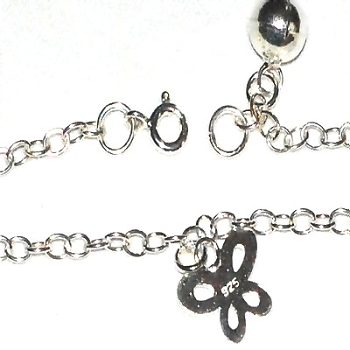 New 925 Sterling Silver 10 1/4 inch Ankle Bracelet with butterfly shape charms. 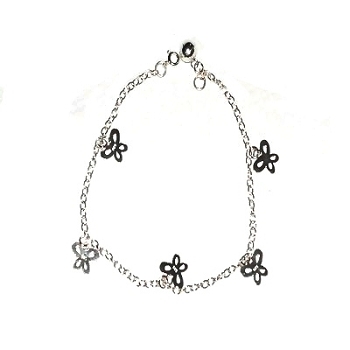 The Sterling Silver Anklet weighs 8 grams. The bracelet and the charms have the 925 stamp. All measurements are approximate.